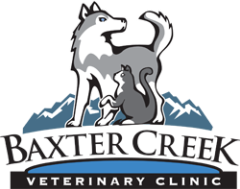 ​Baxter Creek Veterinary Clinic is a small animal hospital conveniently located in the heart of Bozeman, Montana. Drs. Spencer Anderson, Kate Pearson, Jessica Bienapfl, Miles Arakaki, and Palmer Harris are licensed and accredited veterinarians who know your pets are family. We offer wellness check-ups & vaccinations, dental care, an in-house laboratory, digital radiography, ultrasound, acupuncture, surgery, drop-off appointments, as well as a doctor on call 24 hours a day, 365 days a year. We take great pride in our ability to work closely with our clients and form a health plan while utilizing the latest in diagnostic and treatment protocols. We also value our desire to be practical about the care we recommend, ​and help clients make an informed decision about the type of care they desire for their animals.